566004-15VW Maat S, M, L, XL. 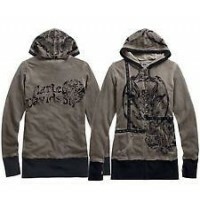 WOMENS RESTLESS SPIRIT HOODIE. 100% cotton French terry. ..
566107-16VW Maat XS, S, M, L, XL, XXL. Women's Vintage Wash Hoodie. Made of 100% cotton French..
569127-17VW Maat XS, S, L. Women's Pink Label Leopard Accent Hoodie. The raglan sleeves and le..
569144-14VW Available sizes: EUR XL, XXL. Womens Iconic Winged B&S Colorblocked Hooded Bla..